Premium American-made LogRite® log arches and tools. Log Tools Ireland is the authorised Irish agent for LogRite log arches, wood handling tools, and accessories. We also carry the Ploskorez range of garden tools, perfect for garden or polytunnel use. 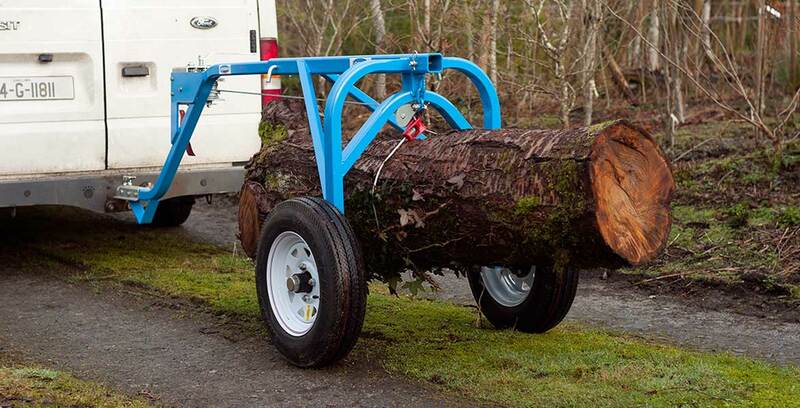 LogRite log arches are designed to safely handle logs while felling, transporting or processing. Add one of our original accessories, and your arch can do a lot more around the yard! LogRite arches are of high quality design and manufacture – we do not cut corners. Log Tools Ireland are the authorised Irish LogRite agent since 2006. LogRite are the originators of aluminium-handled logging tools, innovators of a new class of ultra high quality tools which are up to any task. Our original arch accessories extend the use of our arches, bringing you even more value. We came across these tools by a happy accident, and loved using them so much that we are now the Irish stockist. Light, strong and very useful in the garden or polytunnel. Made in Russia, they really do make a difference when you're weeding, hoeing or clearing a bed. Try one!